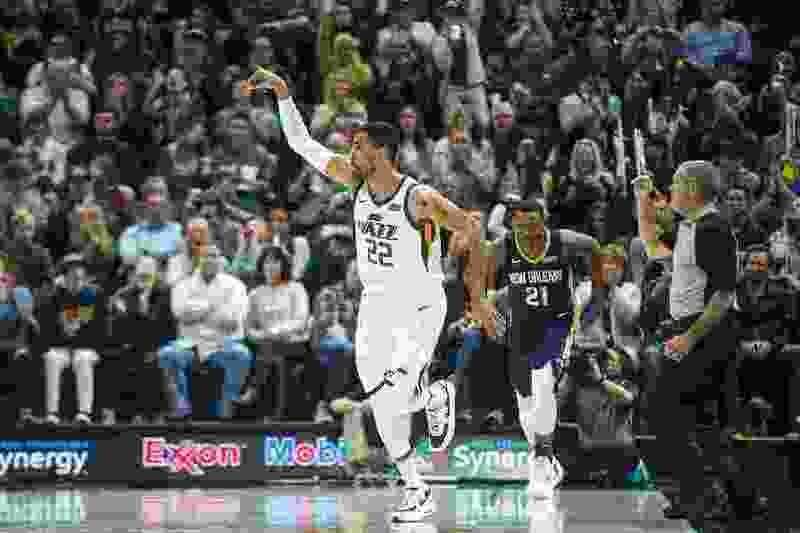 (Chris Detrick | The Salt Lake Tribune) Utah Jazz forward Thabo Sefolosha (22) celebrates after scoring during the game at Vivint Smart Home Arena Friday, December 1, 2017. Utah Jazz defeated New Orleans Pelicans 114-108. In their first step in free agency, the Jazz retained one of their best defenders. On Sunday, Utah guaranteed Thabo Sefolosha’s contract for the coming season. The 6-foot-7 combination forward, who averaged 8.2 points per game last season, will be out for another six weeks as he continues to recover from an MCL injury he suffered in January. But Sefolosha made a difference on and off the floor this season. He played both forward spots, defended well and became a reliable 3-point shooter. In the lockerroom he was a trusted veteran presence, and a leader of a team that featured young talents in Donovan Mitchell and Royce O’Neale. Sefolosha will make a little over $5 million in the coming season, adding depth to an already deep frontcourt. On Monday, the Jazz expect a free agency decision from starting power forward Derrick Favors. Utah met with Favors in Atlanta for three hours on Sunday, a talk league sources say went well. Favors took the night to mull over an offer.